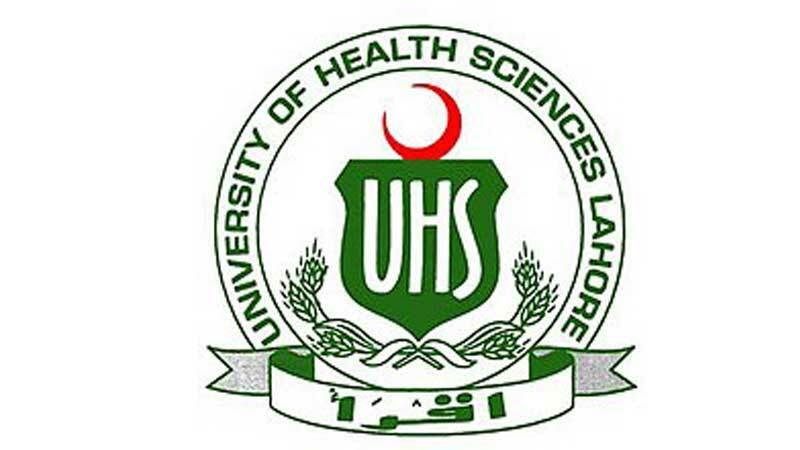 University of Health Sciences (UHS) will conduct the Medical & Dental Colleges’ Admission Test (MDCAT) on September 16 in 13 cities of the province. The online registration of MDCAT through the Bank of Punjab started from Friday and will continue until August 31. This was said by UHS Vice Chancellor Professor Javed Akram at an orientation seminar organised by the varsity on admission tests at Allama Iqbal Medical College on Saturday. UHC VC Professor Dr Javed Akram said that like previous years, the Punjab government would bear 50 percent expenses for each candidate who would appear in the test. Each candidate would be charged only Rs 500 for the whole admission process. He said the 150-minute test would start at 10am this year simultaneously at Lahore, Faisalabad, Multan, Rawalpindi, Bahawalpur, Gujrat, Gujranwala, Sialkot, Sargodha, Sahiwal, Dera Ghazi Khan, Rahim Yar Khan and Hasan Abdal. UHS Immunology Department Head Professor Dr Nadeem Afzal advised the candidates to reach their respective centres at least before 9am on the test day. All centres would be sealed at 9:15am and after that, nobody would be allowed to enter the examination hall. He added that without his/her admittance card and original photo identification, no candidate would be allowed to write the test. Candidates securing at least 60 percent marks in HSSC (Pre-Medical) or equivalent examinations and having domicile of any district of Punjab, Islamabad and Gilgit-Baltistan would be eligible to sit the admission test. Those awaiting results, however, could also appear. Professor Dr Nadeem Afzal further said there would be a single question paper consisting of 220 objective-type questions, divided into four sections: Biology, Chemistry, Physics and English. A candidate would answer the test by filling the circles on the response form. Only one circle must be filled for one question. Filling more than one circle for single question would be considered a wrong answer. There would be negative marking in the test and for each wrong answer one mark would be deducted from the total score. Each correct answer would carry five marks and the total marks would be 1100. There would be question papers of four codes in which the questions and their answers would be shuffled to avert cheating. This year, colour codes would not be used and all the papers would be white in colour. The code of the paper would be printed on the first page of the question paper and it would be identified by the first question which would be mandatory for every candidate to answer. This question, marked as ‘Q-ID’, would not be a part of the evaluation. UHS official advised candidates not to bring any calculator, cell phone or notes with them inside the examination hall. “Candidates are only allowed to bring blue ball point pens with them and not any markers, pointers or pencils,” he added. He further said that this year the candidates would be allowed to take question paper with them after the test. However, the candidates must detach and hand over the first page of the question paper, containing their name and signatures, to the invigilation staff before they leave the centre. The UHS would continue with its “Self-Scoring System” and upload the answer keys of question paper on its website on the same day after the test. The candidates would be able to calculate their scores with the help of carbonised copy of their response forms which they would retain after the test; he said and added that the answer keys would also be published in major national dailies the next day. Referring to the regulations of the Pakistan Medical & Dental Council, Dr Nadeem Afzal said the merit of a candidate would be worked out by adding the marks of matriculation, intermediate and entrance test in the ratio of 10:40:50 percent respectively.